Celebrated annually, Make A Difference Day is one of the largest single days of service nationwide; it’s centered around the belief that one positive act and one day can make a world of difference—whether through volunteerism, good deeds or magnanimous gestures. 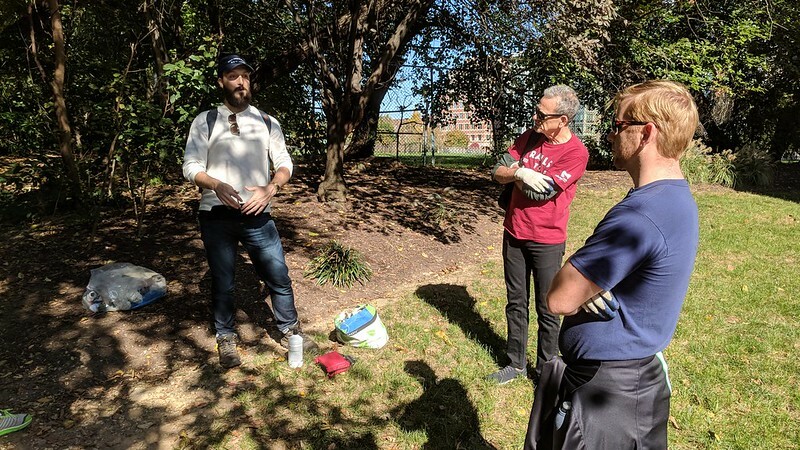 And because we understand just how much trails make a difference for America’s community’s every day, we wanted to spend a day giving back to one of our own right here in D.C.: the Rock Creek Park Trails network. Before getting to work at a nearby section of the extensive trail system, our amazing friend and event host, the Rock Creek Conservancy, shared more about the unique history of the trail and the area. Established in 1890, Rock Creek Park—which houses and is explorable via the trail system—is as ancient as it is iconic. Pre-dating the National Park Service itself, the full breadth of the park covers more than 2,000 acres in and around our nation’s capital. Thankfully for our comparatively small but mighty team, the stewardship provided by Rock Creek Conservancy, the Park Service and a battalion of volunteer beautifiers keep the park’s many trails well maintained year-round. And after a few hours of hard work, our team was extremely proud to contribute to these efforts—and help make a difference—by removing around a dozen bags of recycling and trash from this beloved urban oasis! We took a few photos of our fun (and a little messy) Make a Difference Day cleanup—and we hope they’ll inspire you to give back your trails, too!